What’s the connection between chess and peacock feathers? For most of human history, there was no sensible answer to a question like that. Today we can reply: “They can both be analysed using the branch of mathematics known as game theory.” Games like chess are about competition, about strategies for improving success and avoiding failure. So is evolution. Genes compete in ever more complex ways. Peacock feathers are a good example of advanced evolution. You can’t understand them without reference to the eyes and brains of peahens, whose mating preferences down the millennia have selected for ever more dazzling male plumage. Males send signals, females read them. Similarly, you can’t understand flowers without reference to the nervous systems of insects. Flowers send signals, insects read them. Or misread them, because biological signals can be deceitful. Some species of orchid trick male bees with flowers that mimic the appearance and odour of female bees. The males pollinate the orchids by trying to mate with the flowers. 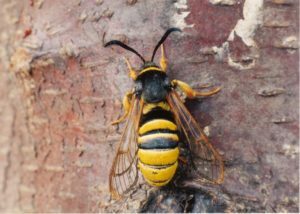 False signals can also repel or conceal: some harmless insects mimic wasps, others mimic leaves or sticks. Like parasitism, camouflage and deceit are found everywhere in the natural world. All three aspects of biology can shed light on human behaviour. After all, humans also compete. Like animals, we send and receive signals, but some of our signals have a new form: we are the only species that has full language. Indeed, language defines us as a species and sits at the heart of all social behaviour. But it can do so in a negative sense, by excluding strangers. There’s a fascinating theory that linguistic diversity — the number of distinct languages spoken in a given region — is driven by parasite diversity in the same region. That would explain why languages are most numerous and diverse in the tropics. The more parasites, the more important it is for a tribe to keep potentially infected strangers away. Whether or not parasites are drivers of linguistic diversity, separate languages are excellent barriers not just against infection, but also against freeloading. However, language can also be an aid to freeloading and other forms of predation. Criminal languages and slangs are found all over the world: they strengthen bonds within the group and shield the group’s business from outside scrutiny. But criminals don’t need to invent new languages when they operate far from their homelands. The fatuous liberal slogan “Diversity Is Our Strength” is the opposite of the truth, because fighting crime becomes far more difficult when criminals are using dozens of different languages. In London or New York, the police have to gather intelligence in everything from Albanian and Russian to Turkish and Arabic. Foreign criminals can also delay and complicate justice by pretending not to know English when they’re arrested and prosecuted (as I suggested in “When with Roma”). In short, a minority with its own language can have a distinct advantage in its interactions with the majority. The American army exploited this advantage when it used native speakers of Navajo as so-called “code talkers” during the Second World War. Intercepted messages in Navajo were impossible for Japanese cryptographers to crack, but Allied cryptographers were able to crack the Enigma code because the underlying messages were in highly familiar German. Navajo-speakers had an advantage precisely because they were few in number. 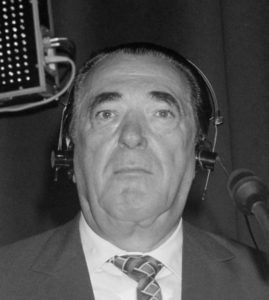 The quoted words are from Meir Amit, “the most ruthless and innovative director-general of Mossad.” The polyglot fraudster Robert Maxwell was a super-sayan, moving easily across national and linguistic boundaries in the interests of himself and Israel. He’s also an example of linguistic camouflage or crypsis, because he was born Ján Binyamin Hoch in Czechoslovakia. Jews who want to hide their Jewish identity often adopt non-Jewish names. The Bolshevik leaders Leon Trotsky and Grigory Zinoviev were born Lev Bronstein and Hirsch Apfelbaum, respectively. Trotsky’s British disciple Tony Cliff was really an Israeli called Yigael Gluckstein. The race-denying anthropologist Ashley Montagu was born Israel Ehrenberg. Ján Hoch was following a long tradition when he changed his name to Robert Maxwell. His financial crimes were also in a long tradition: Anthony Trollope wrote about a fraudster called Augustus Melmotte, widely regarded as Jewish, in The Way We Live Now, which was first published in 1875. The book quoted above suggests that Maxwell was assassinated by Mossad because he threatened them with exposure unless they helped him as his frauds began to collapse. Humans compete not just by using language, but also by preventing the use of language. Censorship is the rule, not the exception, in human history. And censorship is another Jewish tactic in their linguistic competition with non-Jews. In Israel, Hebrew allows Jews to exchange information and opinions freely as they pursue their own best interests, but that’s precisely what they try to prevent among non-Jews outside Israel. Recall Meir Amit’s comments about the primary loyalty of Jews being to Israel, not to the non-Jewish countries in which they were born. A non-Jew who said the same would be called antisemitic and might be prosecuted for hate-speech. The organized Jewish community has tried to forbid discussion of certain topics in the modern West: not just Jewish power, but racial differences and non-White criminality too. Indeed, this Jewish campaign has deep roots. Charles Dickens was strongly criticized for his portrayal of the Jewish villain Fagin in Oliver Twist (1838). In response, he may have invented crypto-Jewish villains for later novels: Daniel Quilp in The Old Curiosity Shop (1841) and Uriah Heep in David Copperfield (1850). He had to use crypsis because he was writing in English for a general readership. That wouldn’t have applied if he’d been writing in Hebrew or Yiddish for a small Jewish audience. The minority can monitor the majority, but not vice versa. In other words, there’s a linguistic asymmetry that works in the minority’s favour. Dickens’ Jewish critics also insisted on a moral asymmetry: it was wrong, they argued, for someone from the powerful majority to criticize a vulnerable minority. Since Dickens’ day, the organized Jewish community has extended this moral asymmetry to cover other minorities: Whites must not criticize non-Whites, but non-Whites are openly encouraged to criticize Whites. Jews are specialists in words and symbols, with a long history of literacy and matrimonial rewards for good scholars. Unlike the non-Jewish majority, which followed livelihoods at all cognitive levels, Jews were concentrated in professions that demanded literacy or numeracy, whether they earned a living as rabbis or shopkeepers. 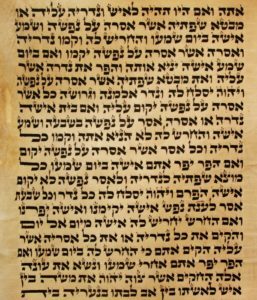 And Jewish scriptures are not merely complex and voluminous: they are written in Hebrew, whose vocabulary, grammar and alphabet are quite distinct from those of Indo-European languages such as German, French and English. Would intellectual competition, and cognitive evolution, have been as intense among Jews if their religion had used a simpler and more familiar language? Hebrew is unfamiliar partly because it is archaic: it has stayed in the same place as other languages have moved into new linguistic spaces. It’s interesting, and possibly instructive, to compare the Hebrew alphabet with the Arabic. The Hebrew alphabet has evolved little from its Phoenician progenitor and there is no strong tradition of calligraphy and decorated manuscripts in Judaism. 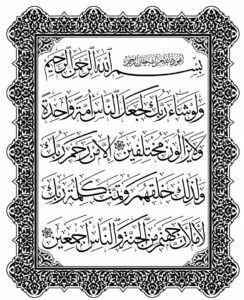 There is a dazzling tradition of calligraphy and decoration in Islam and the Arabic alphabet has evolved greatly from the same progenitor. The same creative impulse and aspiration to beauty can be seen in Muslim architecture, which I would count among the glories of human achievement. 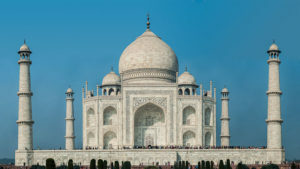 For example, what have Jews given the world to match the Taj Mahal? I’m an Islamophobe, of course, but I find Islam far more sympathetic than Judaism. It has certainly created far more beauty: Korans and mosques can be works of art in a way that Talmuds and synagogues never are. Judaism seems to serve utilitarian ends, not aesthetic or spiritual ones. The Hebrew language and its alphabet have walled Jews off as a minority throughout their history, even when Hebrew ceased to be a language of everyday speech among Jews. Its revival as the national language of Israel was a masterstroke of game theory, whatever the justifications were on other grounds. If Israel used German or Russian instead, its secrets would be far more vulnerable to spies from outside and its national life far more open to outside scrutiny. Instead, Israel uses a minority language and gains a special advantage. It’s common for philosemites and hasbaras to scoff at the idea that a tiny minority like the Jews could exercise the influence ascribed to them by publications like the Occidental Observer. This scepticism is rather like arguing that wolves and elephants must be much more dangerous to human beings than bacteria and viruses. Small groups, like small creatures, can have special advantages in their competition with the majority. Those advantages didn’t disappear when human beings evolved language and began to compete in new and even more complex ways.